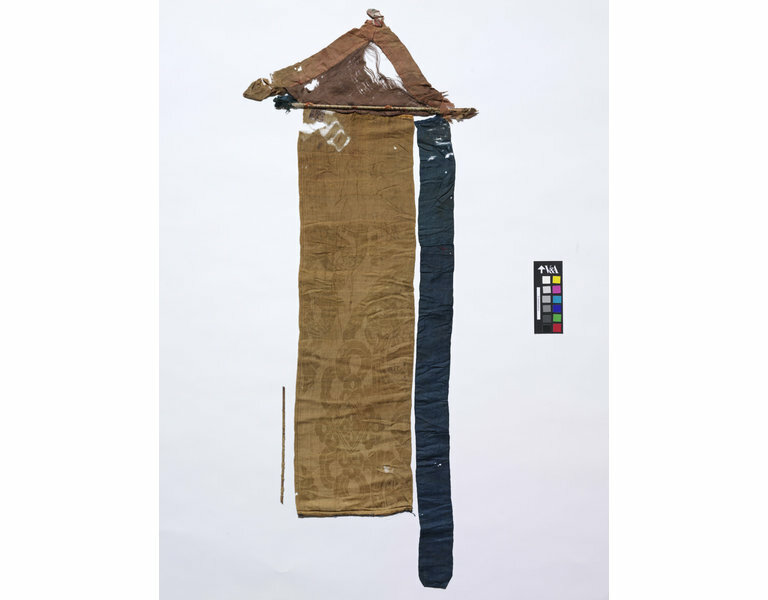 Banner; head, first panel and one arm intact. 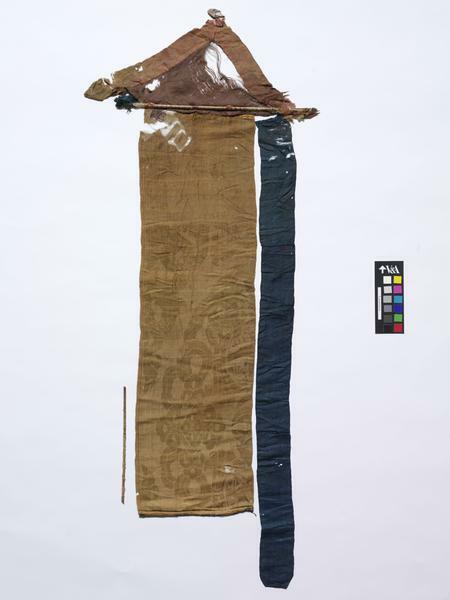 Head consists of a suspension loop of monochrome white silk with red pigment, border of monochrome plain weave red silk and infill of damask weave brown silk, pattern unidentified. First panel consists of one piece of monochrome damask weave, brown silk, a quarter of which includes the loom end which is in plain weave, and there is a selvedge along one side and a shop mark in Chinese characters at top corner. Only one arm is intact, in monochrome patterned weave blue silk, pattern of spots composed of a pair of long-winged birds clinging to either side of a leafy spray, which branches over their heads. 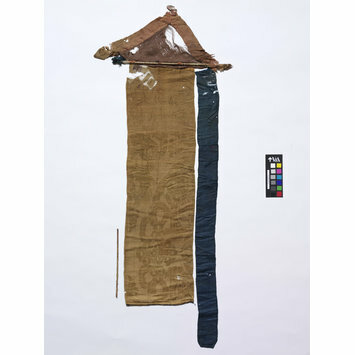 Remains of blue silk textile at bottom of banner. Two split bamboo reinforcements are also intact.